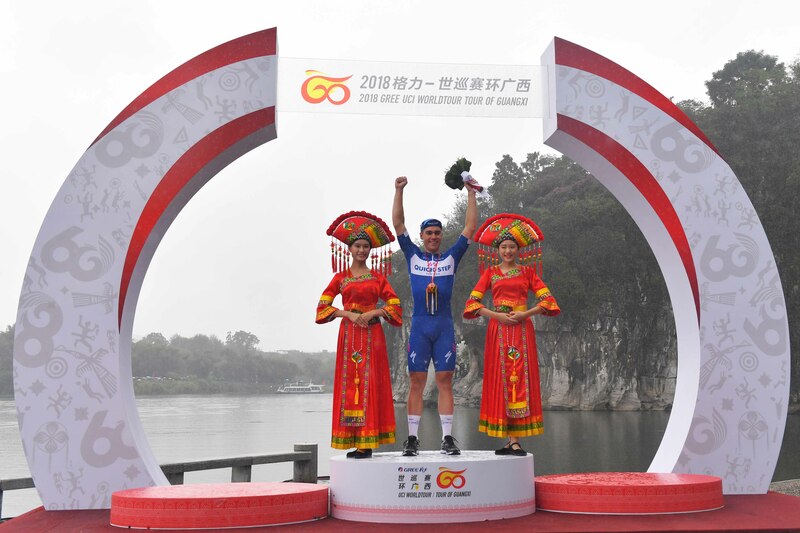 The Tour of Guangxi was the final World Tour event and Quick-Step Floors ended the season in style as Fabio Jakobsen capped off the work of his teammates and blasted through the rain to a clear victory in Guilin, where the second edition of the Asian race concluded. It took the team’s total number of wins for the season to 73. Gianni Moscon (Team Sky) meanwhile, finished safely in the bunch to maintain his GC lead and win the race overall by 9″ from Felix Großschartner (BORA – hansgrohe) with Sergei Chernetski (Astana Pro Team) rounding out the podium. 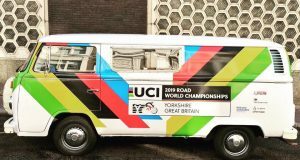 “It’s been an amazing season for me and the greatest year in the history of Quick-Step Floors, so to put an end to it like that gives me huge joy! If you win as a neo-pro seven times, you have to be happy, and I am delighted with how things went this season. 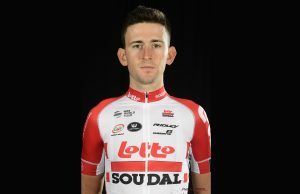 These results only motivate me even more for 2019, when I hope to continue my development, become faster and get more victories for the team”, said Jakobsen , whose roll of achievements since turning pro includes also Scheldeprijs and a stage at the BinckBank Tour. On Sunday, after Rémi Cavagna’s early attempt to go clear was thwarted by the peloton, Quick-Step Floors moved to the front of the peloton and controlled the six-man group which eventually broke away after 30 kilometres, clawing back time on the hilly part of stage 6 and drawing closer to the escapees, before mopping them up inside the final ten kilometres. 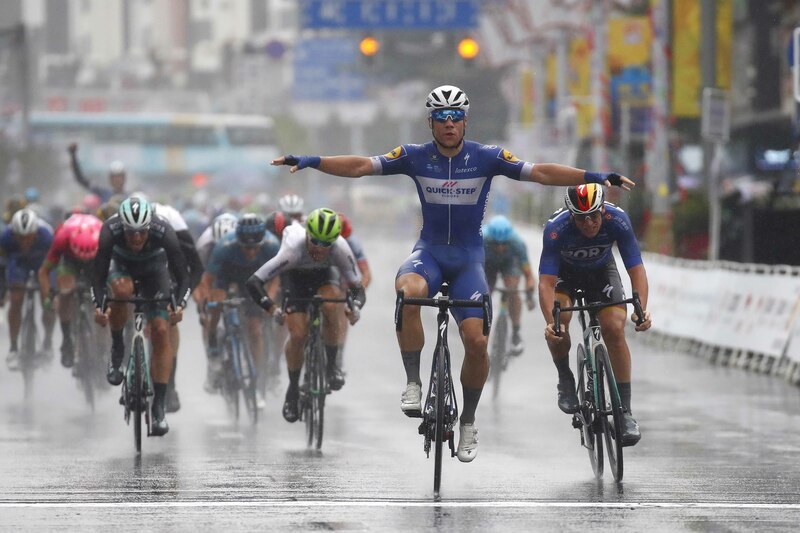 Already a stage winner at the race, Jakobsen was once again put in a perfect slot by Davide Martinelli when it came down to crunch time and delivered another fine sprint to see off the challenge of Pascal Ackermann (Bora-hansgrohe) and take a victory that sealed his triumph in the points classification, which Quick-Step Floors won for the second consecutive year at the Tour of Guangxi. 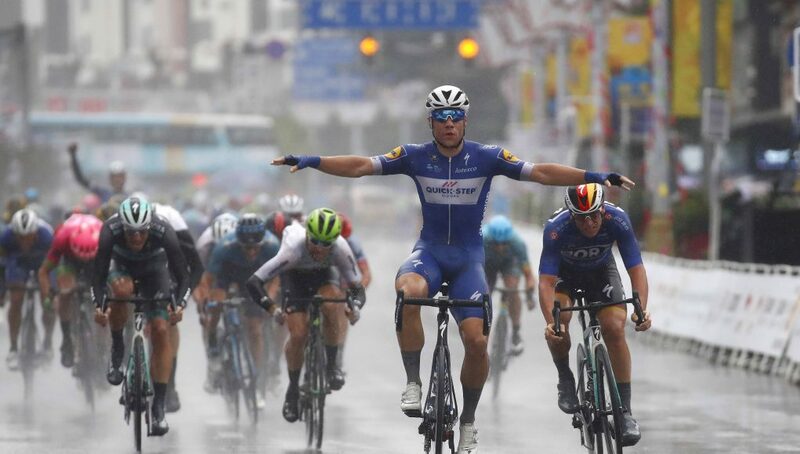 “The stage wasn’t easy, with the rain and the two climbs we had in the last 50 kilometres, but the guys were always by my side, while making sure they reel in the escapees before the closing kilometres, where the speed was really high”, said 22-year-old Jakobsen.